How do I compare different drivers? Step 1: Load up both of the sets of logged data that you wish to compare. 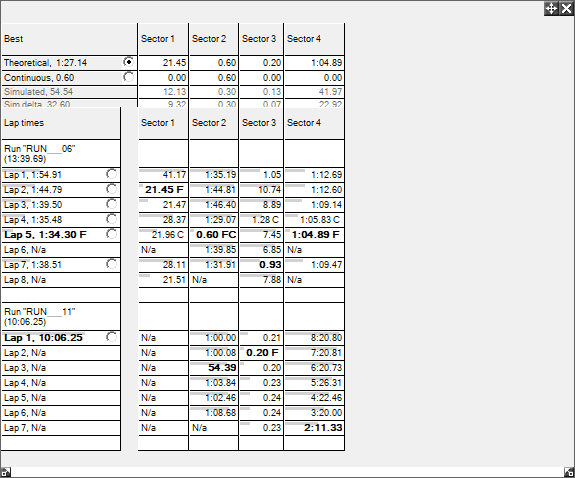 Two sets of data will now be displayed on the "Lap and Sectors Times" table. Select the data that you wish to compare. 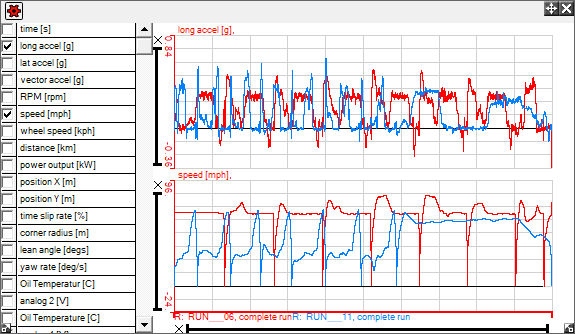 Step 2: Open up a quick graph and select the variables that you wish to compare and the graph will now display the information that you wish to analyse from both sets of logged data.